Theophrastus Bombastus von Hohenheim Paracelsus, Swiss alchemist, physician and pioneer of medical chemistry, 16th century. 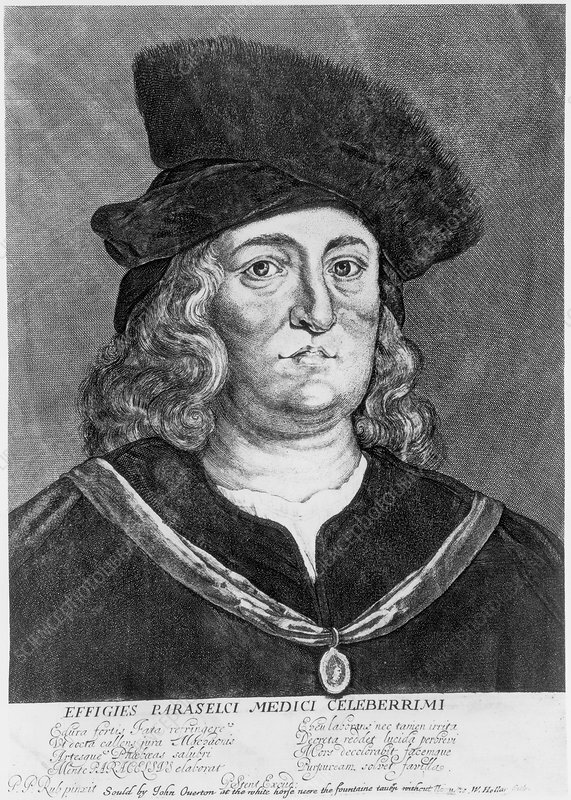 Whilst City Physician in Basle, Switzerland, Paracelsus propounded the theory that alchemy should be used to prepare effective medicines, as well as transmitting base metal into gold. However, after offending the city fathers there, a legal case forced him to leave and he eventually died in Salzburg, Austria. Artist: Wenceslaus Hollar.